Tim Mosher is a Nurse Practitioner in Ohio who has served with Samaritan’s Purse disaster response teams in Liberia and Haiti. He is also a retired firefighter/paramedic. In life, there are people who thrive on challenge and have great motivation to do things considered difficult and perhaps dangerous on behalf of others. These are usually people who do things without desire for accolade, being satisfied to know that they made a difference to someone. I have found myself on occasion to be known as one of these people—a risk-taker driven to do things others deem tough. Most of my friends within the Samaritan’s Purse organization are the same. After a recent trip abroad serving in difficult circumstances with a Samaritan’s Purse team, some of us were referred to as “the tip of the spear” with regard to the mission. 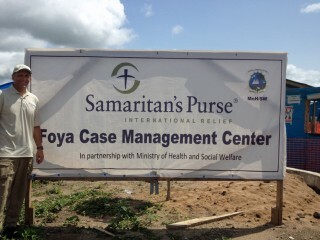 Tim worked with Samaritan’s Purse in Liberia to help Ebola patients. This is a phrase that has its genesis in descriptions of soldiers on the front lines, doing the most dangerous work. As I pondered the comments, it became obvious that while the sentiment is true, there’s more to the reality of the situation. It’s undeniable that someone has to be at the far end of outreach and effort, making the link between desire and delivery. But in fairness and humility, it has to be admitted that the tip of the spear is entirely dependent on the spear itself. The picture of the spear is apt indeed. Consider that the tip is just a small part of the whole, even though it’s the delivery point of the effort. The size of the spear indicates the enormous foundation needed to propel the tip forward. It might be long, straight, wooden, and (seemingly) boring, but it’s essential. 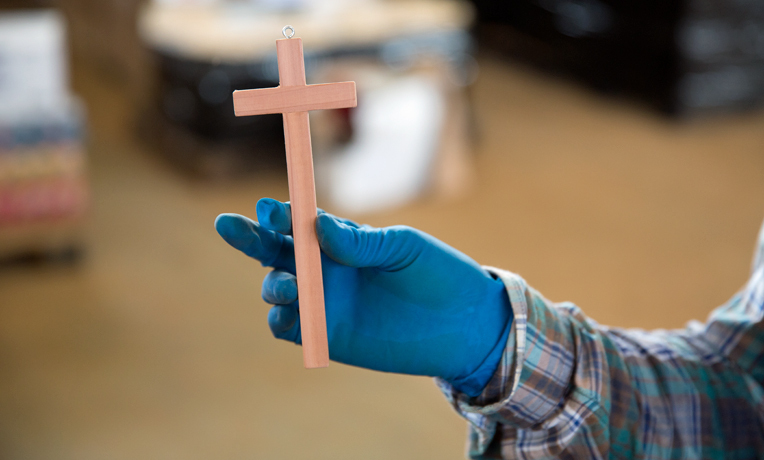 At Samaritan’s Purse, there’s an amazing spear handle that stands behind those on the front lines. For every one of us on the delivery end, there has to be several others behind the scenes grinding out the lackluster and hidden work that is necessary for anything to take place. The tip seems to get the attention and credit for hard work done well. Yet it takes no less commitment for the handle to spend hours or days on the phone, making travel arrangements that change by the hour, losing sleep because the tip is in trouble somewhere, and writing dozens of grant requests just to see a couple dribble in. The handle prays for the tip daily; it knows the tip by name. As a sharp, effective tip is honed over time, so the handle is hardened and polished for its important support work. So tip, be humble and thankful for those amazing risk-takers that sacrifice other professional pursuits to stand behind you in their important work. Handle, take joy in God’s amazing work that He does through you, to push a sharpened and world changing tip into the harvest.